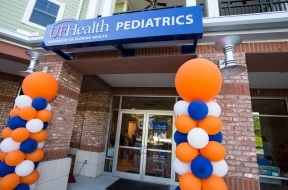 The Department of Pediatrics is affiliated with UF Health offering pediatric services at multiple sites in north central Florida. Under the guidance of faculty, these sites also serve as the primary training locations for UF medical students and residents. 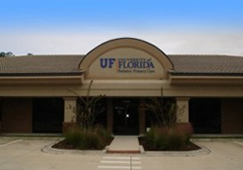 UF Department of Pediatrics is also affiliated with the Faculty Group Practice/UF Physicians. The UF faculty physicians provide services in more than 40 satellite practices managed by Faculty Group Practice/UF Physicians throughout north Florida. 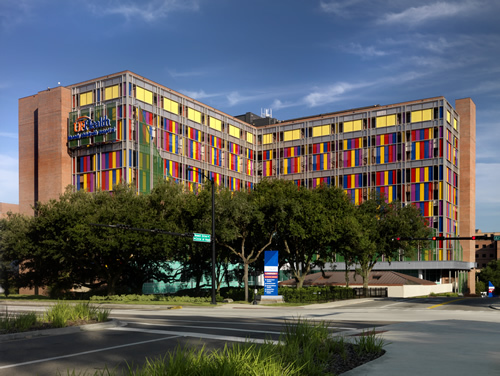 At UF Health Shands Children’s Hospital, University of Florida physicians provide the full spectrum of pediatric specialty services and treat patients from throughout Florida and the United States. With fully equipped pediatric and neonatal intensive care units, UF physicians at UF Health Shands Children’s Hospital offer some of the most specialized pediatric programs for the diagnosis and treatment of a wide range of complex conditions. Read more about the UF Health Shands Children’s Hospital. 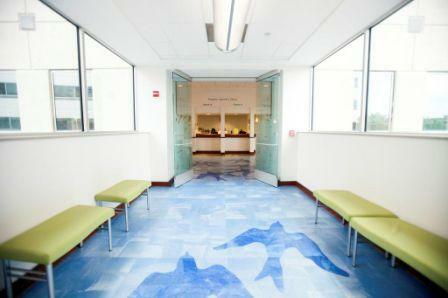 We offer a wide array of specialized pediatric services in a convenient, state-of-the-art outpatient center. 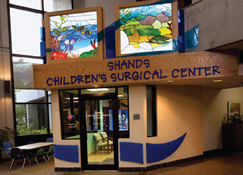 As part of UF Health, these services are linked to the advanced resources and facilities of UF Health Shands Children’s Hospital. Find out more information about this location. 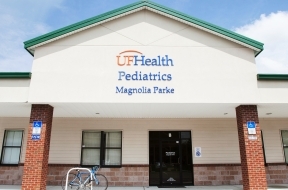 Our physicians are faculty members at the University of Florida, certified by the American Board of Pediatrics and expertly trained to provide patients with the full spectrum of pediatric services. UF Health Pediatrics- Gerald L. Scheibler CMS Center provides comprehensive, quality care by a group of dedicated medical professionals. We offer full pediatric care for children ages birth through 21, including well child and sick visits. 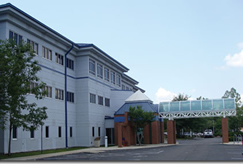 The UF Health Children’s Surgical Center at Ayers Medical Plaza in Gainesville is a four-operating-room surgical facility devoted to child and adolescent care. Fully staffed by a team of children’s specialists, the center’s University of Florida College of Medicine pediatric specialty surgeons, anesthesiologists, and physicians offer a range of outpatient procedures.